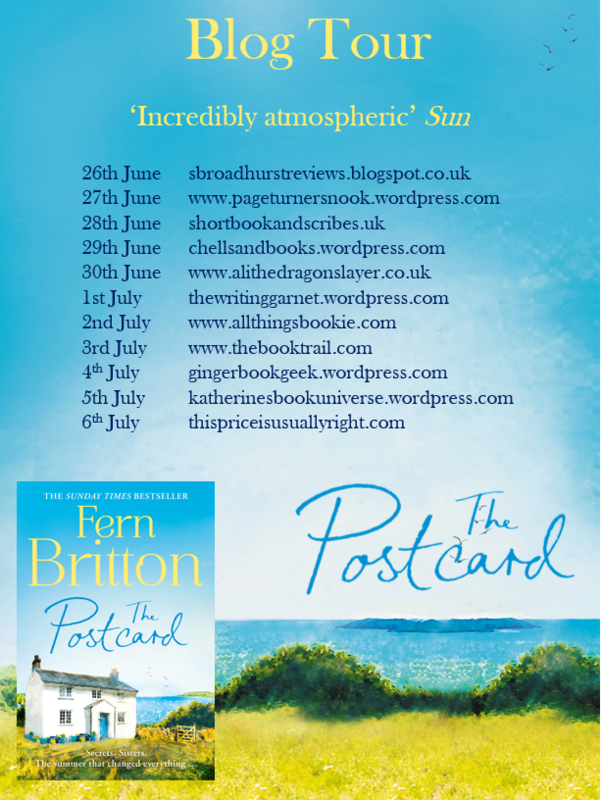 I’m delighted to be taking part in the blog tour for The Postcard by Fern Britton today. I have a review for you but first here’s what it’s all about. 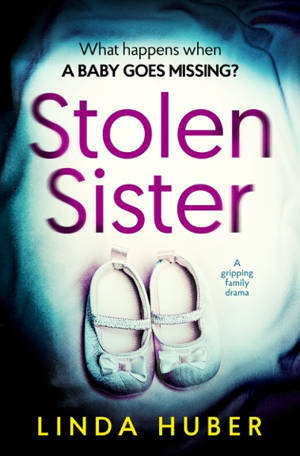 Penny Leighton has never told anyone why she’s estranged from her mother and sister. For years she’s kept her family secrets locked away in her heart, but they’ve been quietly eating away at her. When an unwelcome visitor blows in, Penny is brought face to face with the past. And a postcard, tucked away in a long-hidden case, holds the truth that could change everything. 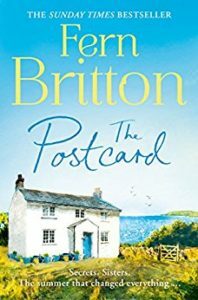 I’ve been wanting to read a Fern Britton book for ages and so I jumped at the chance of reading The Postcard. I really enjoyed it but I have to say that it wasn’t quite what I was expecting. 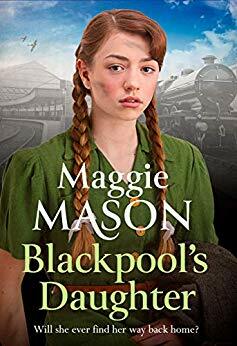 I had in my mind a fluffy, summery, happy sort of holiday read but there are some much stronger themes running through this book, in particular depression, loss and jealousy. For much of the book I wasn’t entirely sure whether I liked Penny, the protagonist, or not. She’s quite difficult at times and, like one of her friends, I thought she should count her blessings, but of course life isn’t that simple and there was a lot going on in the background that was affecting her quite a lot (see above). Her vicar husband, Simon, was a bit of a saint (quite appropriate given his job!). But then along came a character who was much easier to dislike and I started to see where a lot of Penny’s insecurities came from. I think the author portrayed this really well and there were little vignettes from Penny’s childhood that helped to flesh out her character. I actually really liked a thread of the story that wasn’t explored in that much detail, that of Ella and her brother, Henry. 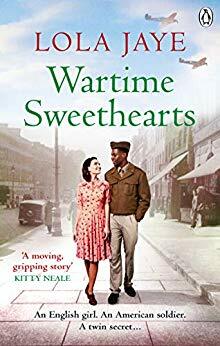 I wanted to know more about them and I wonder if the author is planning to write a book about them in the future as there seemed to be some unresolved issues and a lot more to find out about them. And then there’s the lovely Kit and Adam, Penny and Simon’s neighbours, who also could go on to spawn another book I think. The Postcard is one of those really easy books to read and enjoy. 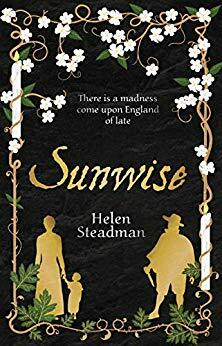 It has a lovely little Cornish village setting and some really interesting characters. Overall it’s quite a gentle, undemanding sort of read and one which I found a real pleasure to pick up. With thanks to Harper Collins and Netgalley for the review copy. The Postcard is available now in ebook and from tomorrow in paperback. 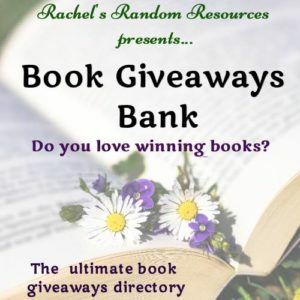 Thank you to Emilie Chambeyron for the place on the blog tour. Don’t forget to check out the other blogs taking part. 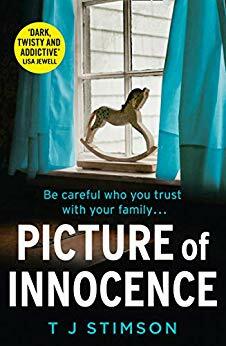 Fern Britton is the highly acclaimed author of five Sunday Times bestselling novels: A Seaside Affair, The Holiday Home, Hidden Treasures, New Beginnings and A Good Catch. Her books are cherished for their warmth, wit and wisdom, and have won Fern legions of loyal readers. Fern is likely best known for her years co-presenting ITV’s flagship daytime show This Morning with Philip Schofield. An iconic presenter, she is also hugely popular for her earlier hits like Ready Steady Cook, and All Star Mr and Mrs, as well as being a much-loved contestant in 2012’s Strictly Come Dancing. She recently presented The Big Allotment Challenge for BBC2 in 2014 and again for its second series in 2015, as well as For What It’s Worth, an antiques-based quiz show on BBC1. Great review for The Postcard, Nicola. I’m eager to read it. Thanks, Alison. I hope you enjoy it.